MOS Office (Michael Meredith, Hilary Sample), from New York City, have found a niche in architectural videos as a way to question and introspect about the way architecture is conceived, produced and represented, through videos and animation that subvert institutionalized norms. With pieces ranging from montages of videos and stills, to tilt shift animations of models, and animated digital mock ups, this group succeeds in bringing the viewers into each stage of development and production, all while keeping your head spinning with text that reads like the narration of a film noir detective crossed with a David Foster Wallace essay. Perhaps, the hallmark of their work is the use of models, with videos and animation, to represent real world projects in otherworldly or surreal environments and situations. From a housing project that is represented as the backdrop of the intimate workings of the people that live there, to an urban gathering space shown as the nomadic home of a tribe in a quasi-futuristic documentary, in a post-apocalyptic world. 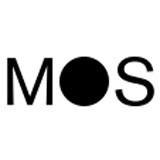 MOS Office, by no means shy away from pushing the envelope in representation, using videos and animation to turn their architecture and the way we talk about it on its head, as well as a wide range of modeling software’s to escape the institutional norms of form and formalism. With installations and pavilions at MoMA (Foreclosed: The Oranges) and the Venice Biennale (Instant Untitled), as well as several built works, MOS Office has begun their slow process of corrupting the world of architecture from the inside out.